A fake wedding, charity boxer shorts, amazing weather, a saxophone player, singalongs and crazy dancing. Yesterday had it all. 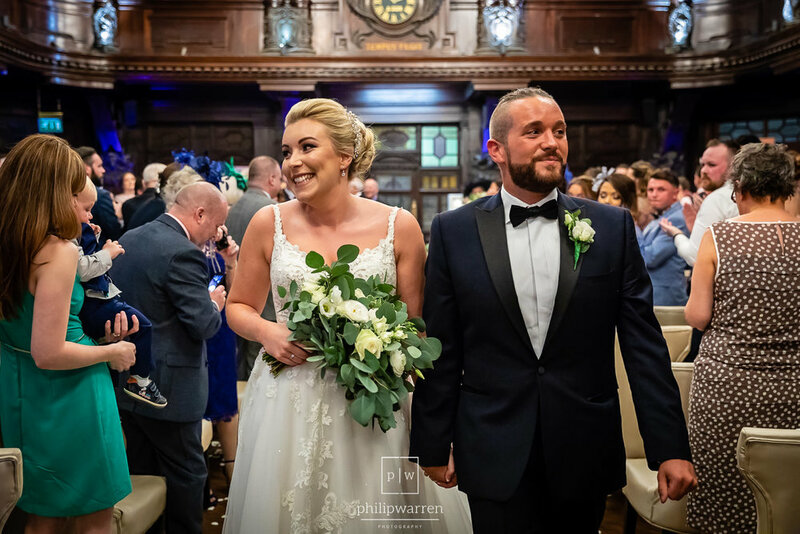 Alexandra and Ashley had already tied the knot in Gibraltar at an intimate church ceremony which was close to their hearts before stepping foot in the The Exchange Hotel for their "wedding". Which was news to pretty much 99% of the guests! An entrance, a mock ceremony and a projector showing the film of the actual ceremony later they were married, again. Enjoy, and thanks for letting me be part of the 1% who knew! 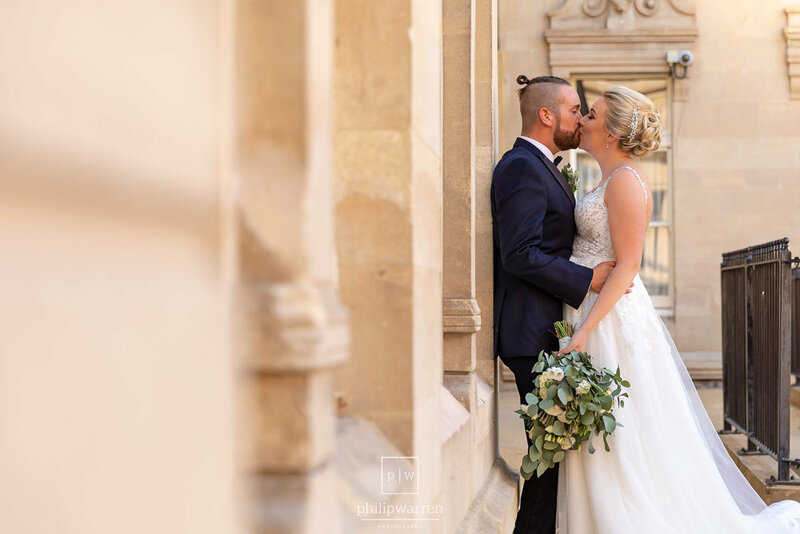 Alexandra got ready at The Exchange Hotel with her bridesmaids, flower girls and page boy, and there was such an exciting vibe with everyone crammed into one of the elegant rooms in The Exchange. She wore a gorgeous dress by Mori Lee and looked so beautiful. The girls then walked the short distance to get to the ceremony which meant they could start getting ready as late as possible as they didn't have to travel anywhere. Ashley got ready again at The Exchange Hotel with his groomsmen. He wore suits from Moss Bros and looked dapper. Getting ready at the venue meant he could meet all the guests as they arrived before the ceremony. Wow. Where do I start? From the beginning I guess. Alex and Ashley decided to get married in their families church in Gibraltar. It was always Alex's grandmothers wish that they would get married in their family church. One of the issues with that was they live in Wales, and they didn't want to drag friends and family to get married are a tiny church in Gibraltar. What they decided to do was fly out with a small group of family members, do the wedding in secret then fly back to Wales. Then hold a fake wedding in The Exchange in Cardiff where they could invite all their friends and family. One of the issues was the fact that a lot of the family from Gibraltar were invited to the wedding in Cardiff. There was a moment when they started playing the video from the wedding. The family from Gibraltar might have had an issue with being asked over for a wedding which only took place a few miles from their homes. As soon as they heard the reasoning for it, they understood and enjoyed it like any other wedding ceremony. Phew. With the shock of the mock wedding the speeches were not going to disappoint. The whole of the top table in The Exchange were either at the wedding in Gibraltar or were in on the whole plan. Out of the multiple weddings ive photographed at The Exchange this was the latest, which is normal problem for a venue of this size. It really does benefit from a larger wedding than a smaller one. Location wise The Exchange is situated in the middle of Cardiff Bay. Photo opportunities are slightly less than a venue which is in the middle of nowhere. No matter when the venue is as grand as this! With the weather superb we used the surround courtyard for photos in the day and the night. Both Alex and Ashley are involed in amateur dramatics, along with a ,large section of their wedding party. When you have a crowd who are used to performing and dancing you know the party was going to be a lot of fun. After they kicked off the evening with their own choreographed first dance the dancelfloor was packed all night. For an extended look at their wedding please enjoy their slideshow of a selected amount of photos. Flowers: Roots - Supplier focus blog post on more of Roots work here. 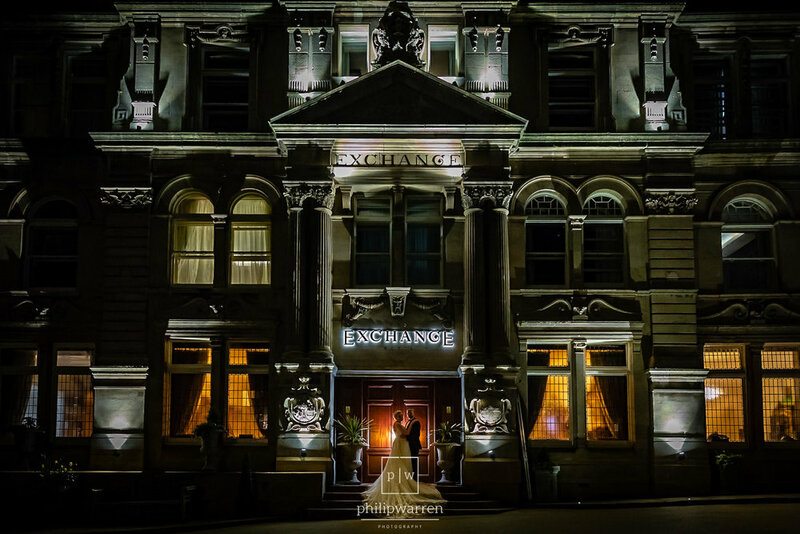 Getting married at The Exchange Hotel in Cardiff and looking for a wedding photographer? 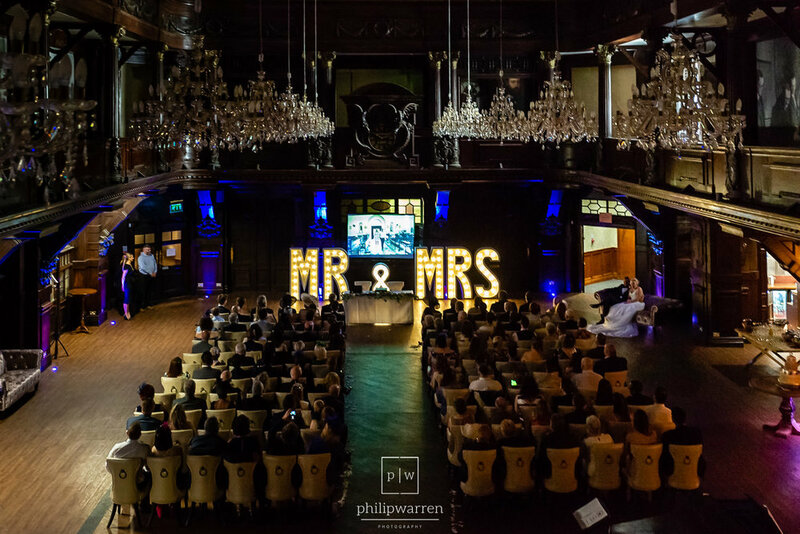 Please get in touch as I love shooting weddings at this gorgeous venue! For more weddings at tis venue please see below.